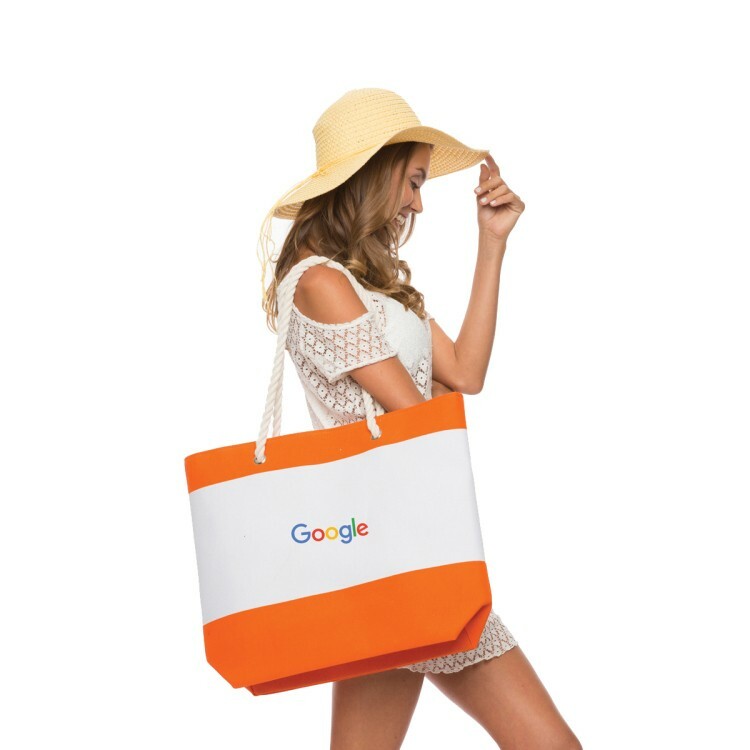 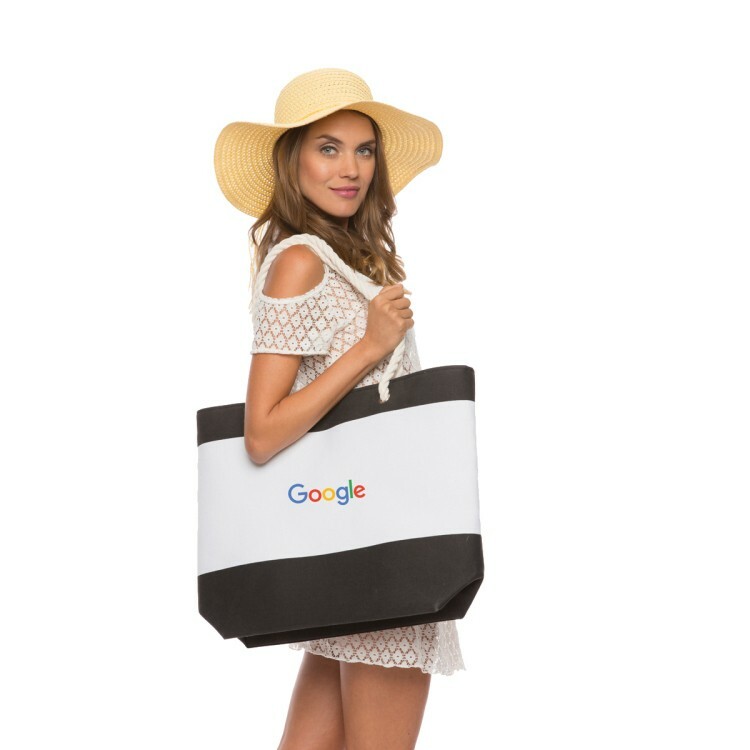 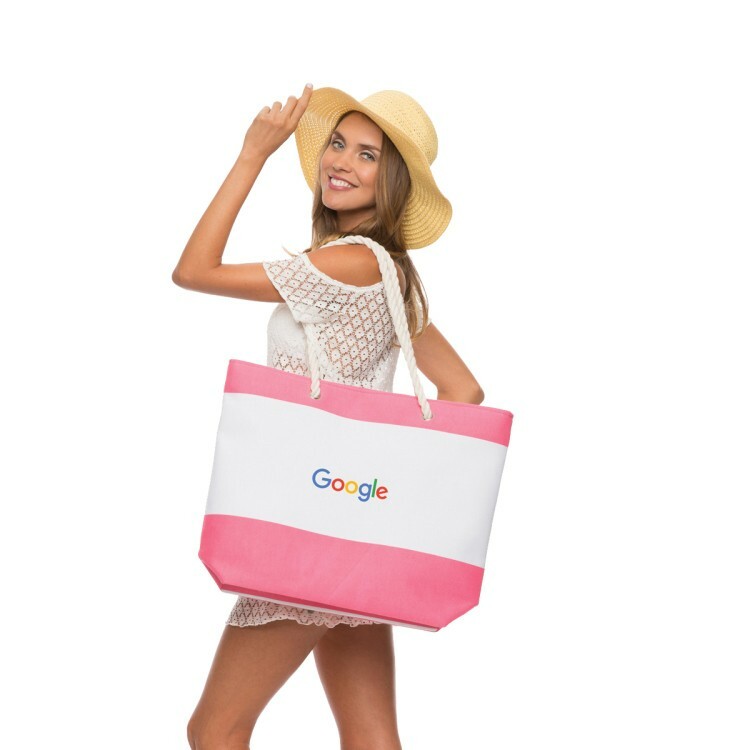 Pack up for a day on the sand with your brand! 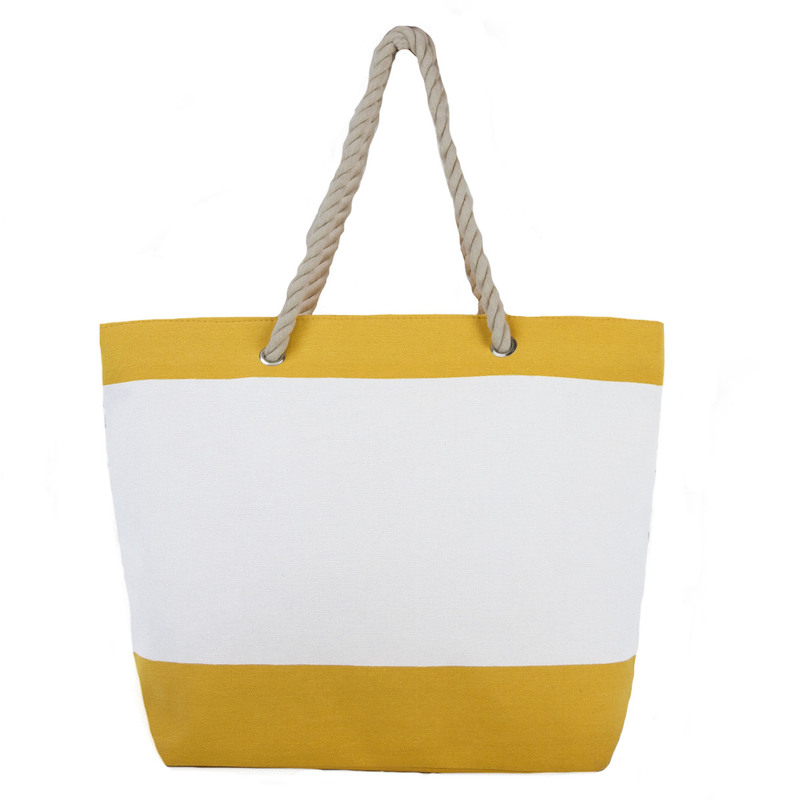 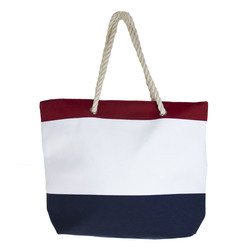 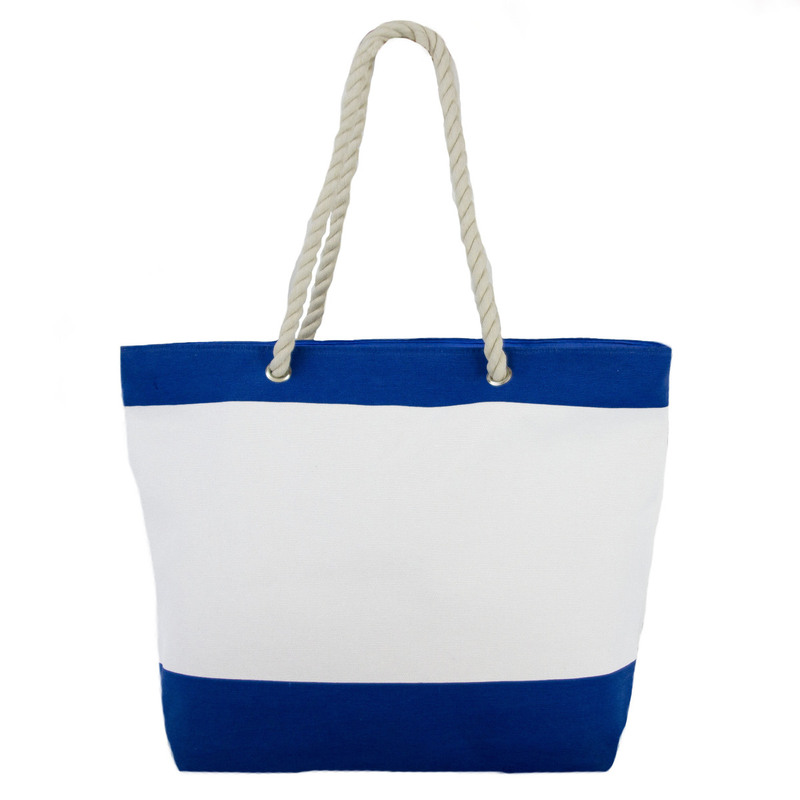 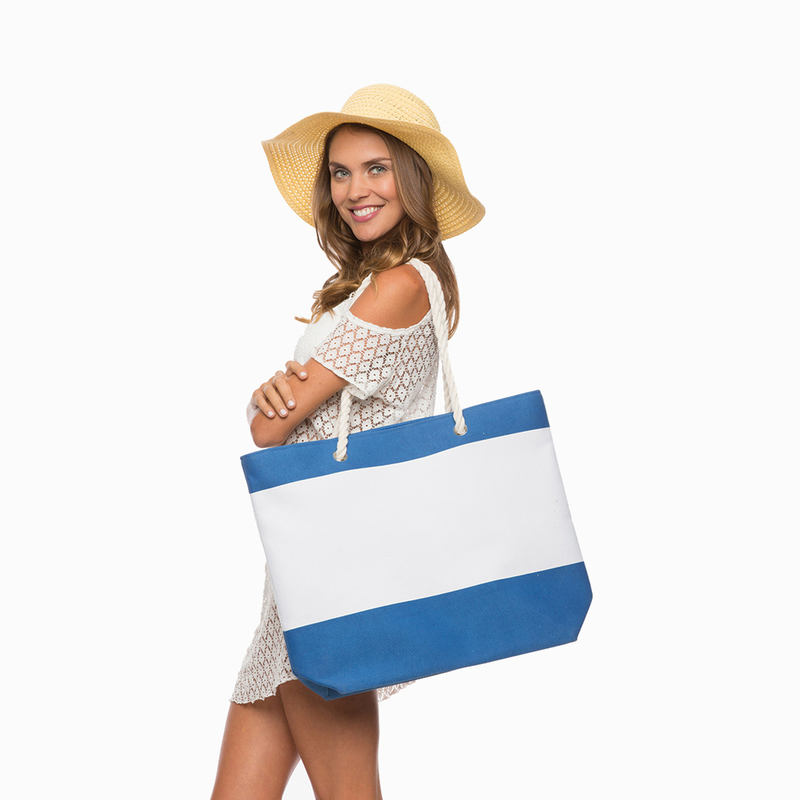 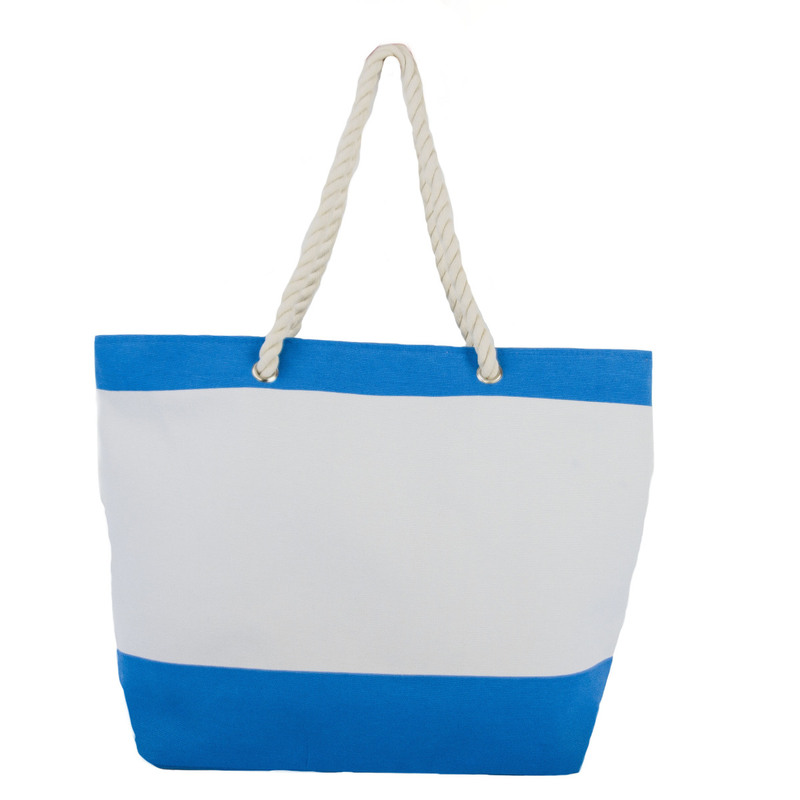 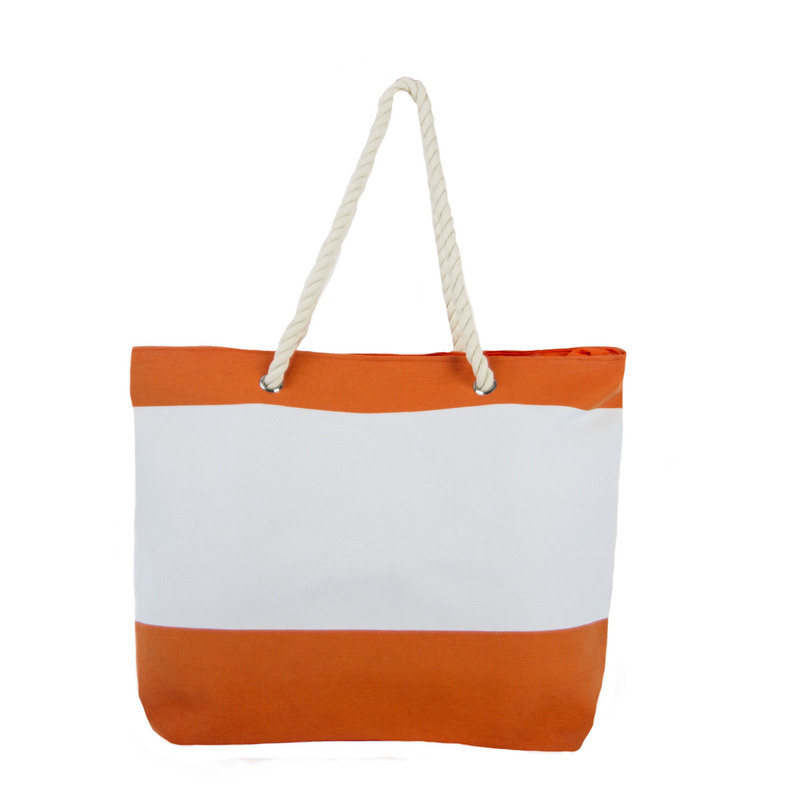 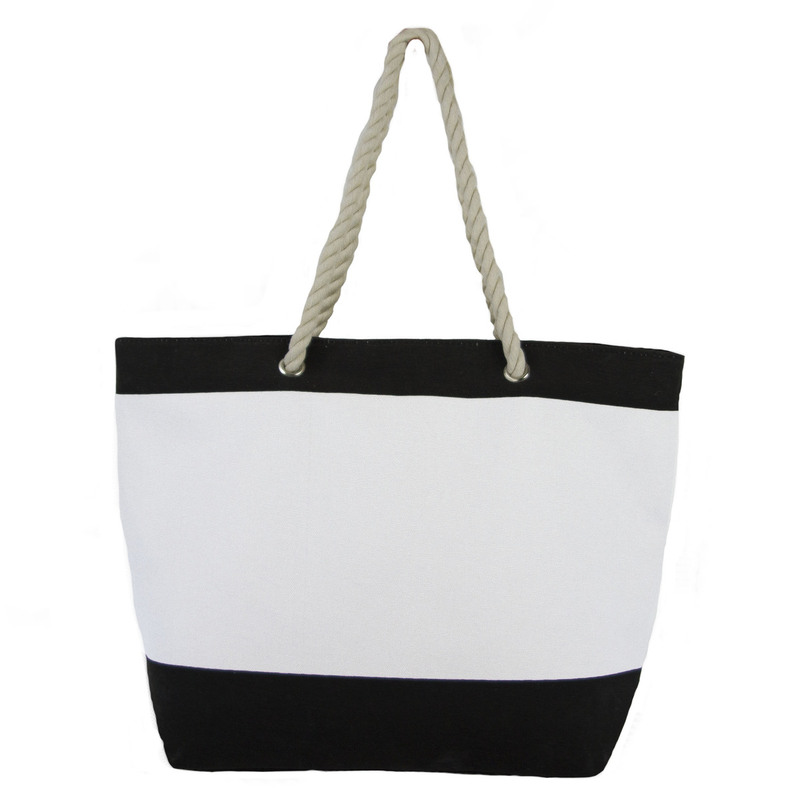 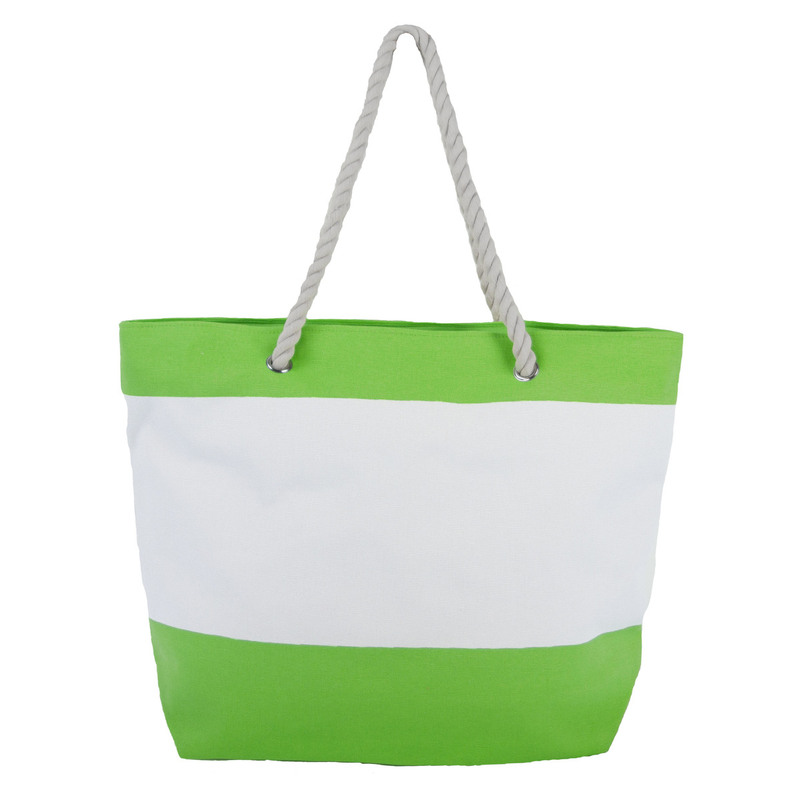 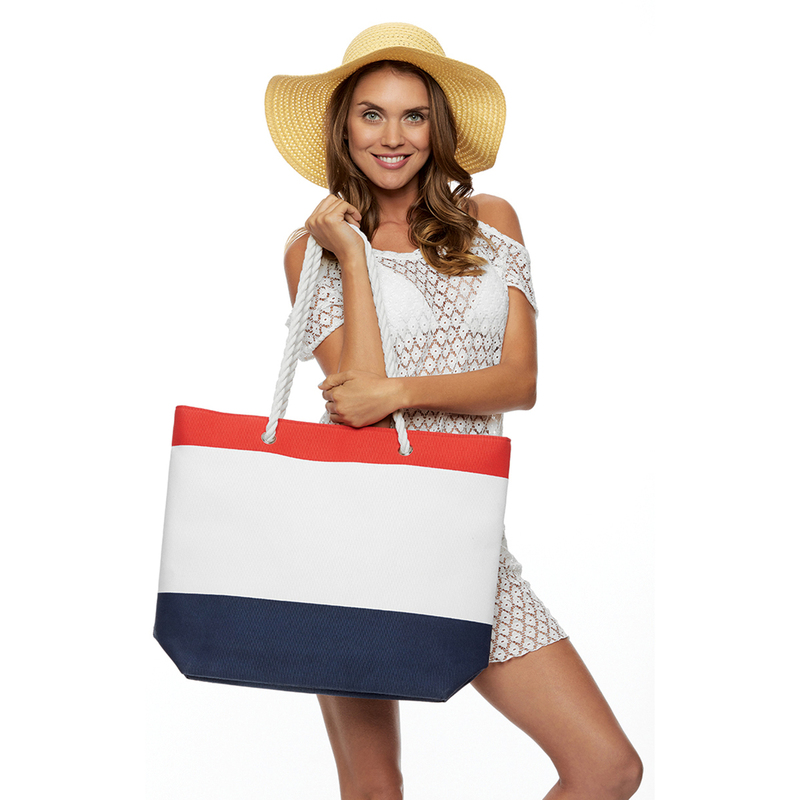 This Nautical Beach Tote Bag is excellent for towels, robes, blankets, sunblock and more! 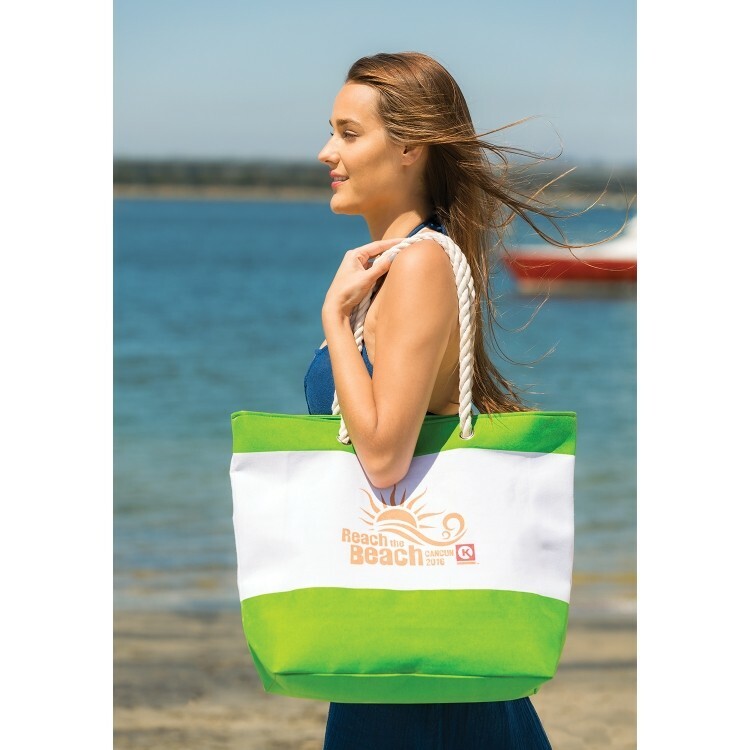 It features a top zipper closure, an inside zipper pocket and comfortable rope handles that make the hike to the surf a breeze. 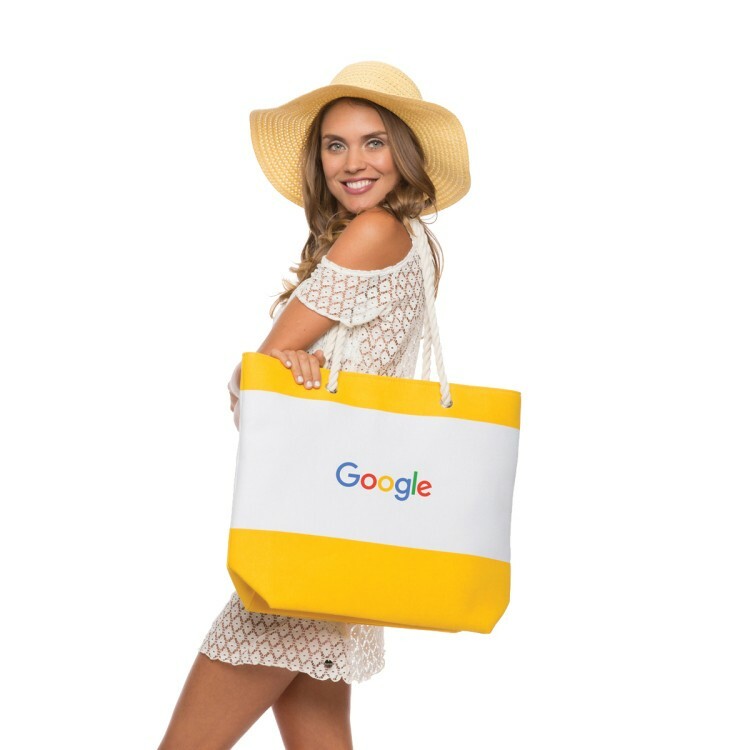 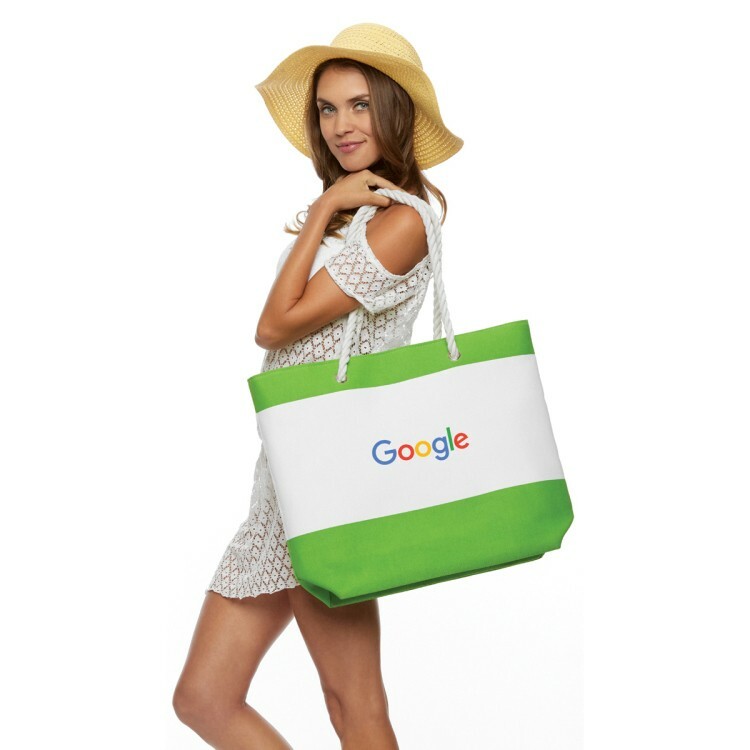 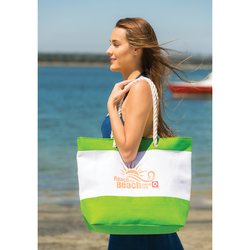 It's made using a soft and strong polyester and cotton canvas blend and can be customized with your organization's name, logo and advertising message for a promotional look that's built for the beach, the pool and beyond!